Citrus cocktails and summer go hand-in-hand, and the Clementina Dream mocktail is sure to hit the spot. Bracingly sour and intensely aromatic bergamot meets Sanpellegrino Clementina, for an addictively refreshing mocktail that has you wanting more after the last drop. 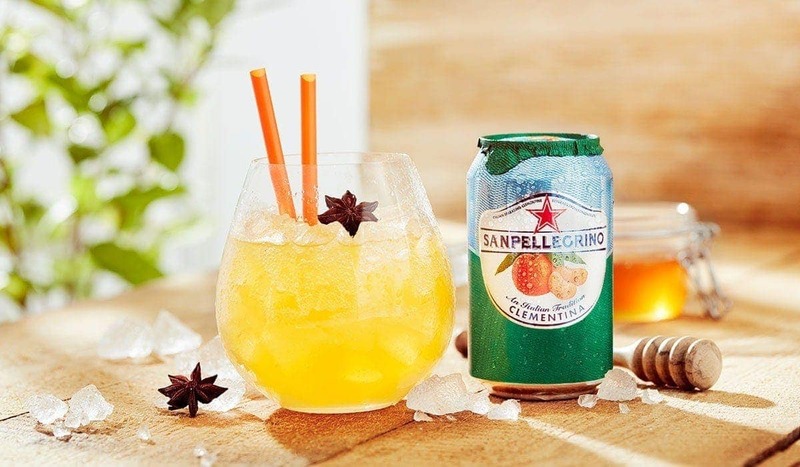 Aromatic, sour and floral bergamot adds some attitude into the rich yet delicate Sanpellegrino Clementina in the Clementina Dream non-alcoholic drink. Honey syrup adds just the right amount of fragrant sweetness to create harmony. A deliciously full-bodied mocktail, the Clementina Dream is summer in a glass. Enjoy Clementina Dream alone or with dishes that bring an extra dose of sunshine to the table, such as a seafood salad with octopus or gratin of mussels. In the bottom of a sturdy, large glass (14 oz capacity), pour the juice and syrup. Stir to combine well using a bar spoon and fill to the top with ice cubes. Top up with Sanpellegrino Clementina. If you wish, garnish with star anise. If you are 21 years old or over you can turn the Clementina Dream into an alcoholic drink by adding 1 oz of dark rum.